Skynet is a company, currently at the ICO stage which aims to resolve the issues of blockchain adoption and the functionality of the Internet of Things (IoT). 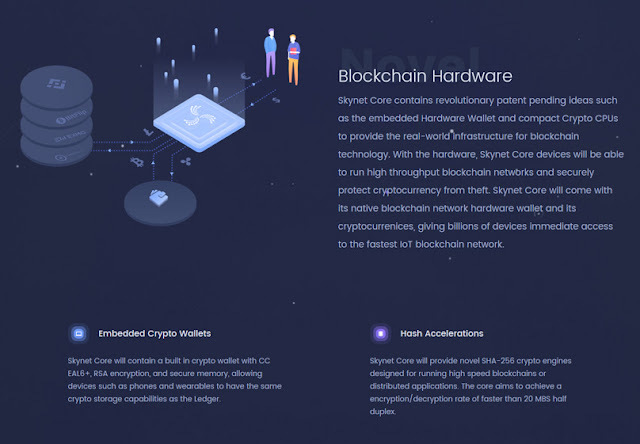 The team at Skynet aim to deliver an end-to-end system that includes a hyper-scalable IoT blockchain network and the first blockchain chip in the world. The project includes billions of blockchain chips that do not require licenses and will deploy to devices worldwide, connecting via the Skynet blockchain network. This ecosystem will provide real-world infrastructure that allows blockchain technology to thrive. As a result, Skynet aims to become the most adopted of all end-to-end ecosystems. Skynet Core is the Risc-V Blockchain Chip that is license free and a key part of Skynet. This blockchain chip can replace an existing CPU and features a core optimized for blockchain technology as well as the Internet of Things. SC-1000 is a 32-bit RISC-V Blockchain Core featuring hardware wallet blocks and CPU for use on standard IoT devices. SC-2000 is the 64-bit version that includes tensor processing, hash acceleration, and the hardware wallet, all for Edge Intelligence. Finally, SC-3000 is another 64-bit RISC-V Blockchain Core, this one with a tensor processor array, AI-protected cold storage, and hash acceleration for complex intelligence. Skynet Core utilizes patent-pending ideas of a revolutionary nature, including the embedded Hardware Wallet. It also has compact Crypto CPUs with this combination delivering real-world infrastructure that blockchain tech can utilize. The hardware makes it possible for Skynet Core devices to run blockchain networks with high throughput while providing secure protection from theft of cryptocurrency. In addition, Skynet Core includes a hardware wallet for the native blockchain network plus cryptocurrencies. The result is that Skynet Core gives billions of devices instant access to the quickest of all IoT blockchain networks. 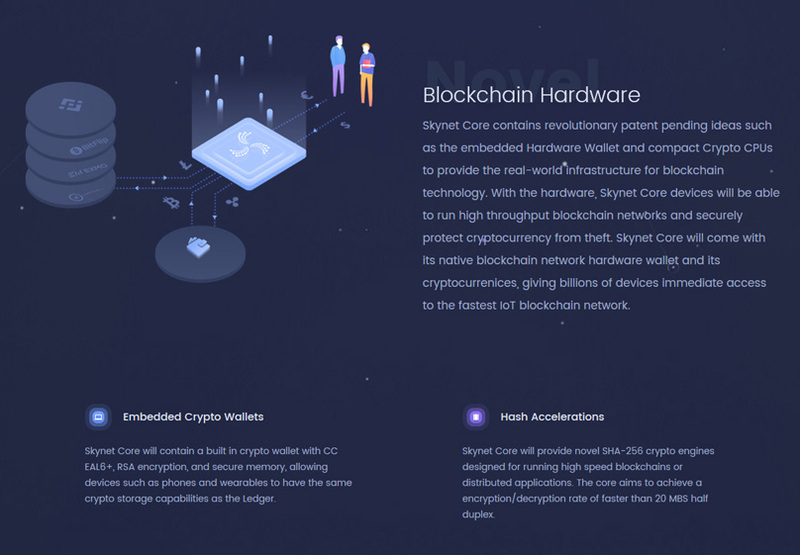 One of the key features of Skynet is the embedded crypto wallet in Skynet Core. This crypto wallet has RSA encryption, secure memory, and CC EAL6+. The goal of this crypto wallet is letting devices like wearables and smartphones have crypto storage capabilities just like those found on the ledger. With Skynet Core, the high-performance blockchains let as few as four small devices run a private or public high-throughput blockchain that can handle more than 10,000 transactions per second. Each of these devices can run consensus algorithms considered to be computationally expensive, such as Proof of Work. The Skynet Core will deliver SHA-256 crypto engines specifically designed to run high-speed distributed applications or blockchains. The core should deliver a decryption and encryption rate that is quicker than 20 MBS half duplex. The AI processors in Skynet core allow for automated transaction signing. The processors utilize a patent-pending design that verifies the outgoing transactions automatically for efficiency. Skynet Core delivers advanced core designs that can accelerate deep learning applications on blockchain networks. The project will form partnerships with various semiconductor companies as a way to embed tensor processors into the design of Skynet Core, with a focus on 8-bit precision arithmetic. These embedded tensor processors will allow any IoT device to learn advanced neural networks to allow for human-scale intelligence. The Skynet project, launched by the OpenSingularity Foundation, envisions a network of intelligent machines (as in the movie “Terminator”), utilizing blockchain, IoT, and AI to create secure trusted networks of devices that can intelligently communicate with each other autonomously and on a large scale. The organization says that this will enable billions of interconnected identifiable IoT devices to participate effortlessly in a global machine-to-machine (M2M) economy powered by self-organizing AI networks with data integrity facilitated by blockchains, which provide solutions for device identity, secure decentralized micro-payments, and trusted communication. The project aims to create a core chip based on RISC-V, with the core FPGA planned for introduction in December 2019 and the core system-on-a-chip (SoC) available 12 months later. It hopes to then have “billions” of connected devices deployed by August 2022, according to the timeline on its website. Last month, OpenSingularity made a pair of prize hires of former Qualcomm engineers. Srinivasa Rao Nagaram, who joined as director of engineering, was previously director of engineering at Qualcomm, where his work led to the inception of the Snapdragon processor. OpenSingularity says that it hired Nagarajam because of his expertise in SoC design, software enablement, and end-to-end product commercialization. Venkat Tangirala, a 22-year Qualcomm veteran, joined OpenSingularity as its ecosystem director. At Qualcomm, Tangirala helped complete its 5G modem pre-silicon development. Carl Shi, vice president of engineering at Qualcomm, also joined OpenSingularity’s board this month. Several other members of the team have come from roles within Qualcomm as well as backgrounds with Alibaba, Google Ventures, Samsung, and Motorola. How Will Skynet Impact Internet of Things Devices on the Blockchain? One of the biggest impacts of Skynet will be that on blockchain IoT devices. Essentially, Skynet aims to revolutionize the use of IoT devices via its ability to combine blockchain networks and accelerated artificial intelligence processing. The design of Skynet Core is modular making it possible to embed along with any SoC to create new blockchain chips. This chip design makes it possible to embed Skynet chips into small IoT edge nodes or servers. 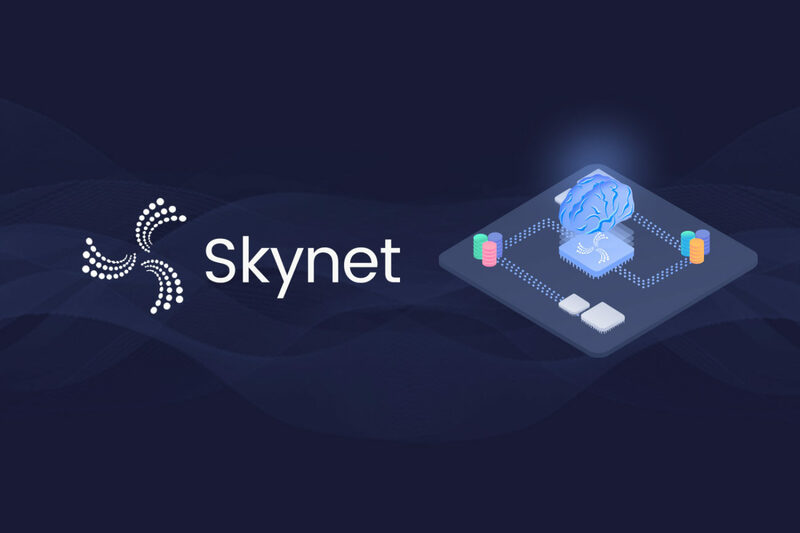 The result is the ability to implement Skynet Core worldwide with a connection to a blockchain network. Just a handful of the potential applications of Skynet on blockchain IoT devices include smart cities, blockchain wearables, blockchain smartphones, soft robots, connected cameras, and self-driving cars. What Is Skynet Open Network? Skynet Open Network (SON) claims to be the fourth generation of the Internet of Things blockchain. This is an IoT optimized network, which is infinitely scalable. It will also allow for transactions between various intelligent devices. The billions of Skynet Cores deployed to devices worldwide will all include the native cryptocurrencies of SON, allowing the Skynet Open Network to become the most adopted of all blockchain networks instantly. SON utilizes a unique infinity-chain blockchain architecture that allows for chaotic subsystems and scalability in IoT devices. The system provides benefits like instant finality, infinite sharding, cross-chain communication, BFT Delegated Proof of Stake, and a decentralized exchange. It also provides hyper-scalability for IoT platforms.